The agriculture sector is an important contributor to the Egyptian economy as it represents roughly 11.5% of the GDP. Food production in Egypt does not meet domestic demand and the country is dependent on imported food. Egypt has a fast-growing population leading to a constant increase in demand for food, accompanied by limited local production due to restricted water supply and arable land. There are over 7,000 food processing and manufacturing companies in Egypt, generating sales of $22.2 billion in the previous year. Moreover, retail food sales are expected to register $98 billion by 2020. Egypt’s restaurant, hotel, and retail food sectors are growing in 2018 thanks to a budding recovery in tourism and consumer spending. Sources forecast growth reaching 15 to 20% by 2021. 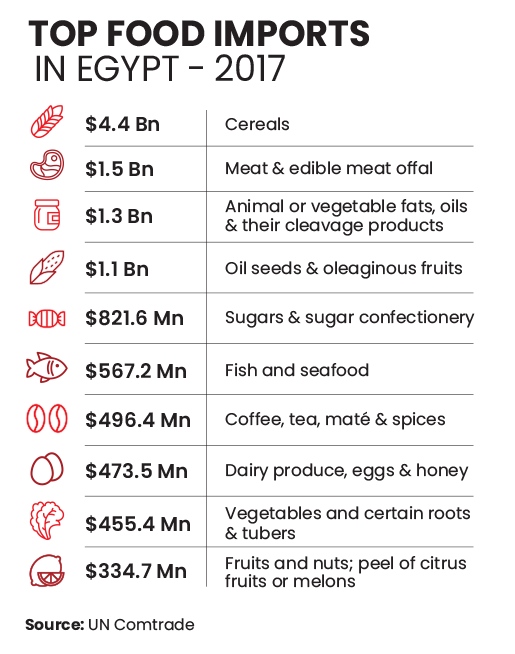 Egypt is exporting over $2.8 billion in processed and manufactured foods mainly to the Middle East. 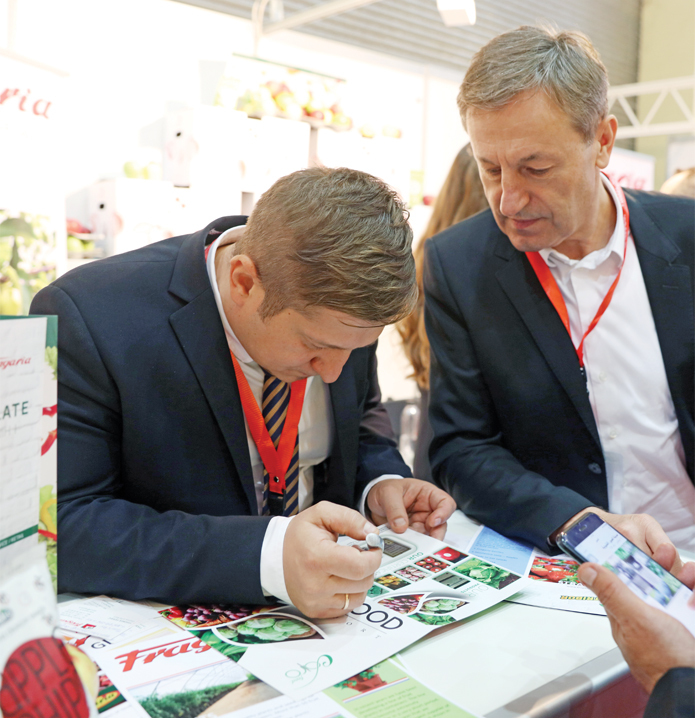 There are 339 million potential consumers within 500 kilometers of its borders. Egypt’s 2018/2022 medium-term plan of sustainable development comprises investments of LE 217 billion in the agricultural sector, according to the Minister of Planning. The investments will cover the expansion of the area of agricultural land, and mechanization of the system of agricultural tenure. Egypt’s agricultural exports rose by 13% between September 2017 and April 2018 to reach 3.17 million tons, up from 2.8 million tons during the same period a year earlier. There are more than 1 billion people in the African consumer market. This is expected to increase to more than 2 billion by 2050. With 226 million people aged between 15 and 25 years, the continent also has the youngest population in the world. Also, African countries spend between $30bn and $50bn annually on imports. 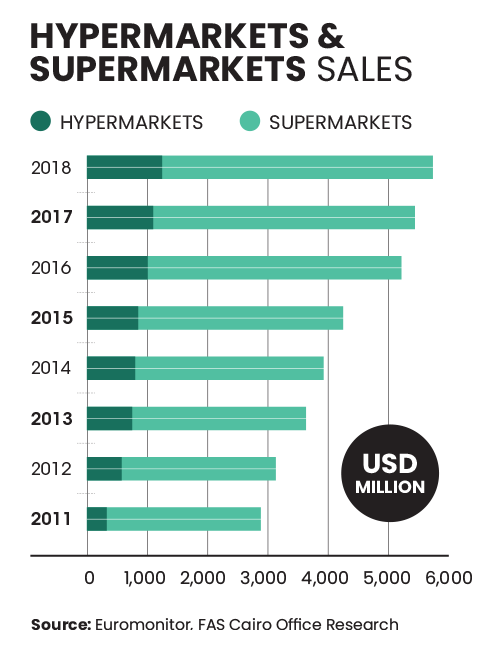 This represents enormous potential: A young, growing African consumer market that is more health-conscious, favoring nutritious and healthy foods. Egypt is among the 44 countries that signed the African Continental Free Trade Area (AfCFTA) Consolidated Text at the 10th Extraordinary Session of the African Union in March 2018. In 2017, Egypt imported goods from Africa valued at $1.8 billion, which accounts for 3% of Egypt’s total imports. 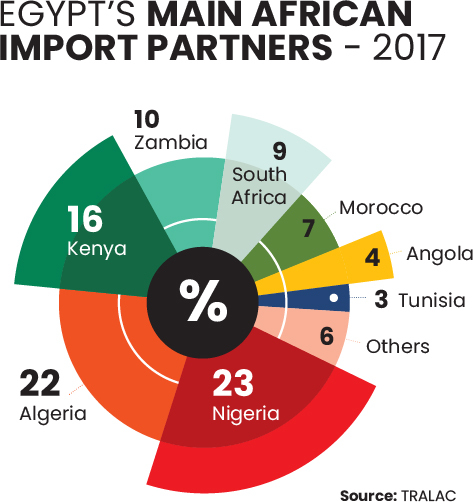 The country’s exports to Africa amounted to $3.2 billion, or 12% of Egypt’s total exports for 2017.